As I mentioned last week I had some images on display this past Friday during First Friday. I would like to thank everyone who stopped by 855 Inca and the Atmosphere Creative studio this past Friday. It was an interesting experience to discuss my work as well as other topics with everyone who stopped by the studio. 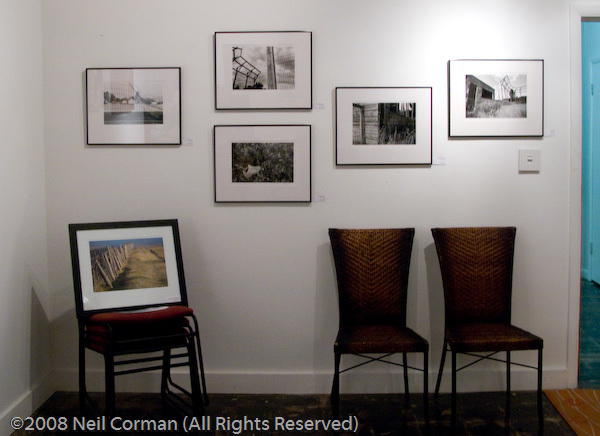 If you have not done so, I recommend signing up for the Images from Neil Corman Photography E-Mail List to receive notifications of more events like this one in the future, as well as news and discounts. The following is an image of the prints on display this month.